Start Time: noon | Last Entry: 01:00 p.m.
First Game of Bingo: 02:00 p.m.
You heard that right!! 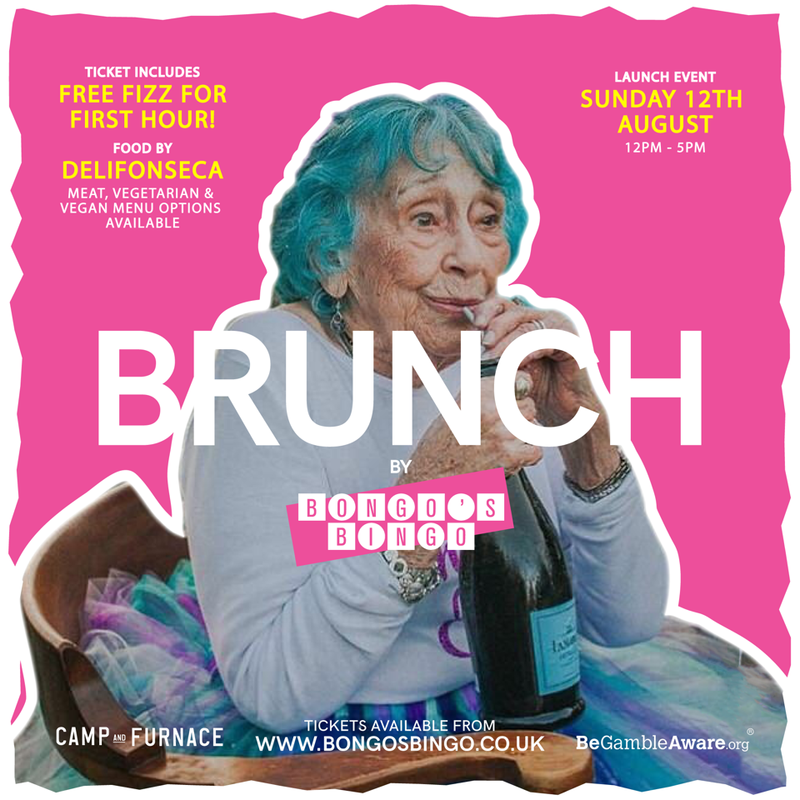 We are doing brunch, we invite you to wine, dine and brunch with us at our first ever BRUNCH Sunday 12th of August at Camp and Furnace. You can expect all your normal cash prizes, $hit prizes and bingo madness with perhaps just a touch of sophistication so you can bring yer Ma!! We'll have several courses of nibbles and big plates to cater for everyone, not to mention free fizz for the first hour so come join us in having a big Sunday Funday Bongo's Bingo style. Free fizz for the first hour! Ticket includes several meat, vegetarian and vegan courses by Delifonseca. You must tick at least one box for ticket type "BRUNCH BY BONGO'S BINGO LIVERPOOL: 12/08/18" to proceed to checkout. We strongly recommend ordering both the 'Event Ticket' and 'Gambling Stake' to get the full event experience.